Don’t throw out old clothing or scraps leftover from finished projects. 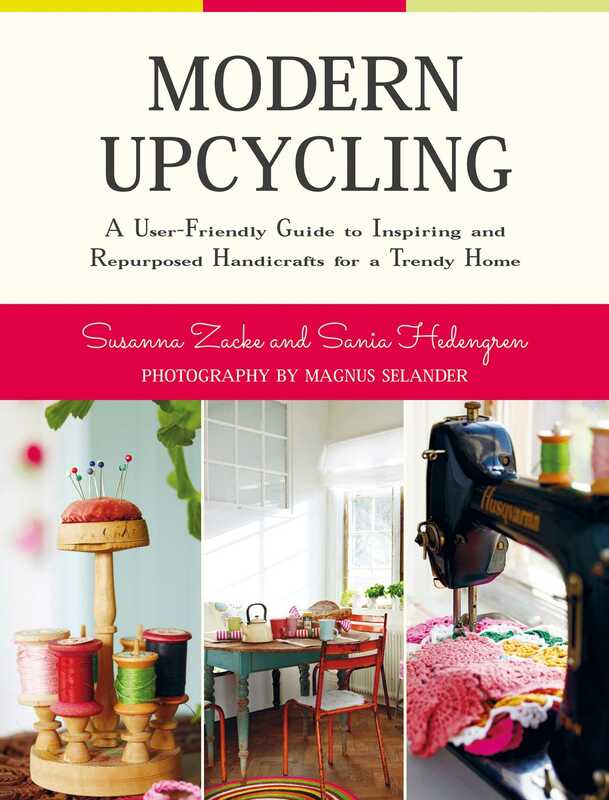 Upcycling is today’s hottest trend in handicraft and décor, and master crafters Susanna Zacke and Sania Hedengren are here to show how it’s done in their vibrant new guide Modern Upcycling. Discover unique ideas to inspire your creativity and decorate your home with those fabric remnants and odds-and-ends you already have in your crafting kit. Make rustic place settings from crocheted yarn and embroidery, reuse old pallets to make furniture with wheels, hang paintings in old window panes, and cast a fruit bowl from concrete. Divided into five chaptersconcrete, wood, yarn, paper, and fabricfor quick inspiration, Modern Upcycling features sixty-five projects accompanied by sumptuous photographs and step by step instructions. Follow Susanna and Sania into their world of pop-out colors, cozy spaces, and pieces that are both beautiful to look at and serve a practical purpose. Whether you love to crochet, garden, cast in concrete, or make ornaments from paper, Modern Upcycling is guaranteed to help you revitalize and personalize your home.